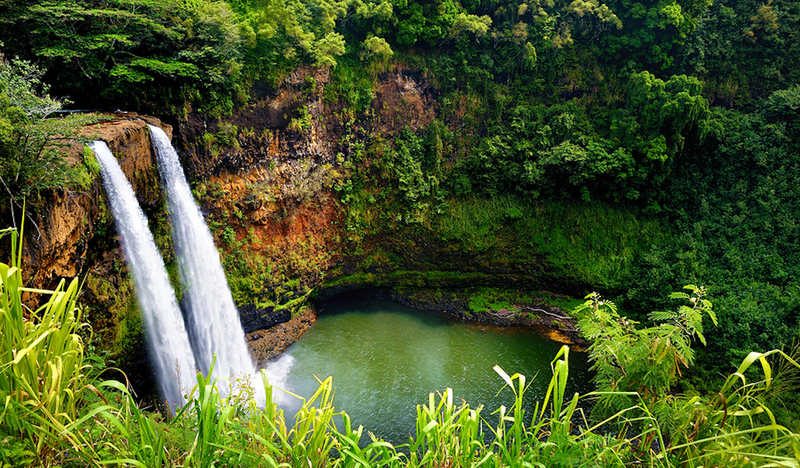 Driving around Kauai will have you passing rushing waterfalls, ochre canyons, lush green mountains, golden beaches – the natural beauty will leave you in a state of awe. Although it’s tempting to simply sit by the pool with a cold drink and unwind, you’ll also want to hit the road and meander around the Garden Isle to experience new sights around every twist in the road. Renting a car is the best way to see Kauai. You’ll have the freedom to go to the best places, and spend as much time as you like exploring. It would be a bit crazy to try to cover the entire island in one day – it’s just too big. It is better to divide it into two halves, so that you can do one half per day or even longer if you have the time. This will allow you to explore at a more leisurely pace and really enjoy yourself. After all, you are in Hawaii. You should take the time to relax. We’ve divided up your journey into the North and East Island and the South and West Island, but depending on where you are staying you could split up the trip differently. The North shore is known for its beautiful beaches and lush environment and the South shore excels in friendly character towns and the stunning volcanic terrain. If you really want to take it slow, you could do this journey over several days, taking every opportunity to get out of the car and enjoy the many great experiences. Nawiliwili was the center of island life on Kauai for the ancient Hawaiians who lived on the island. During the westernization of the early 19th century, Nawiliwili Bay became a very important harbor and the center of its new commerce. A boat landing was established at Kalapaki which ushered in a new era of shipping and trade in the area. 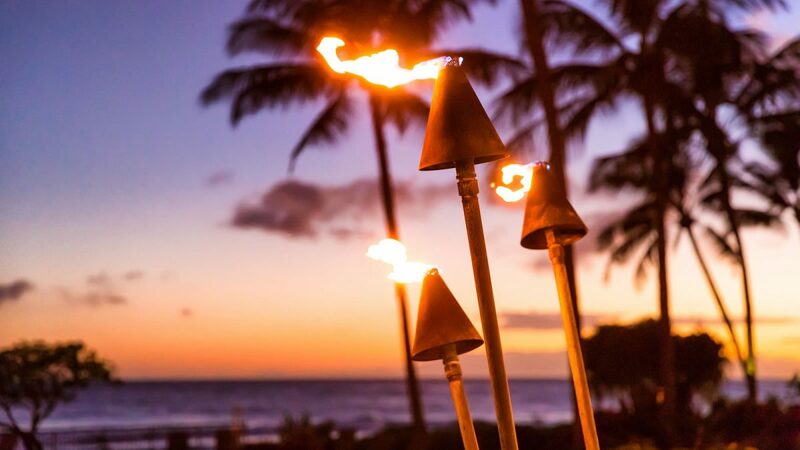 These days Kalapaki Beach is a popular family-friendly beach and the setting for the Kaui Marriott Resort. Poipu Beach, with its sugary white sand and unreal turquoise water, is one of the most gorgeous beaches on the island. If you are lucky you might spot Hawaiian monk seals sunbathing on the shore, or even humpback whales surfacing out in the water. Take the plunge below the ocean with your snorkeling gear and you might spot sea turtles or Hawaii’s impossible-to-pronounce state fish: humuhumunukunukuapua’a. A small yet vibrant community of artists gather in the town of Hanapepe. Here you’ll discover at least a dozen galleries in the buildings along Hanapepe Road. It’s a delight to explore these buildings, which feature creative efforts from local artists who are inspired by the stunning surrounding landscape. If you are visiting on a Friday evening, the shops will leave their doors open for the Hanapepe Art night and you can peruse the exhibitions until late. Also, Talk Story Bookstore is a treasure trove for bibliophiles – the only dedicated bookstore on the island. 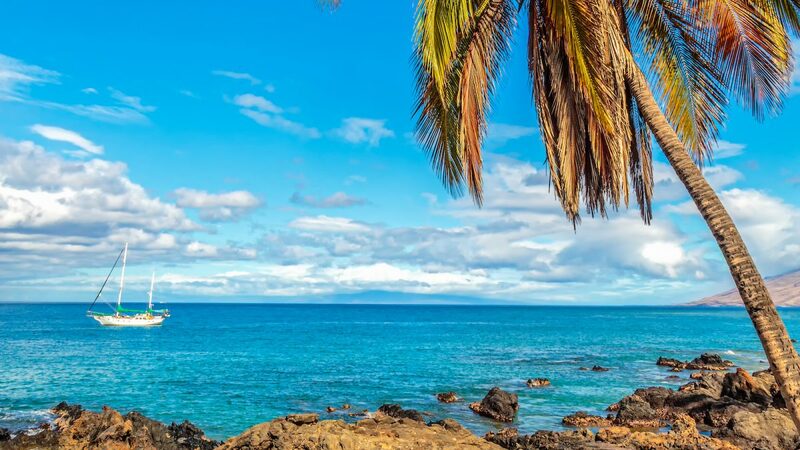 The town of Waimea is significant in Hawaiian history as it was the place that Captain Cook made contact with Hawaiians, the very first Non-Hawaiian to do so. Imagine the site of his tall ship anchored just off shore in 1778 as we drive past. 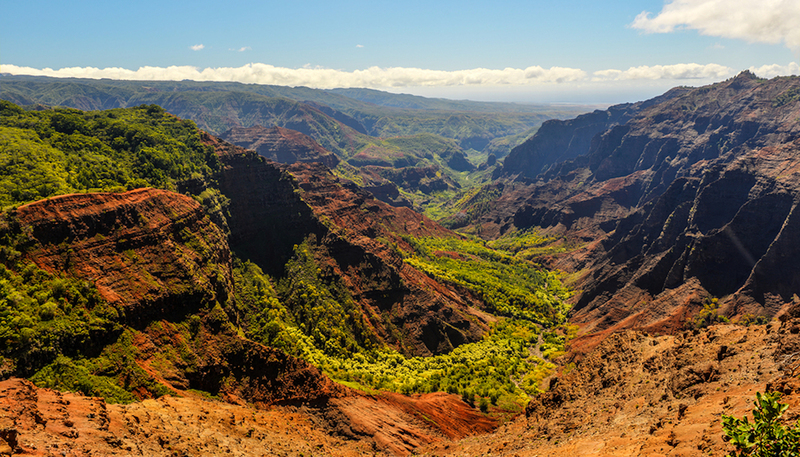 Above Waimea sits the impressive Waimea Canyon. It’s considered the Grand Canyon of the Pacific and it is a yawning chasm over three thousand feet deep. It’s green, red and brown rocks have been patiently carved by flowing water for millions of years. Continue further to Kokee Park and the Kalalau and Pu’u O Kila Lookouts which provides the best elevated view of the Na Pali Coast that doesn’t require a helicopter ride. This is Kauai’s most famous waterfall – a stunning double-tiered cascade that often throws out rainbows when the sun hits the mist at the right angle. During times of high rain it becomes a thundering falls but even during the dry season it is still magnificent. Its simple to visit and the best views are right from the car park. 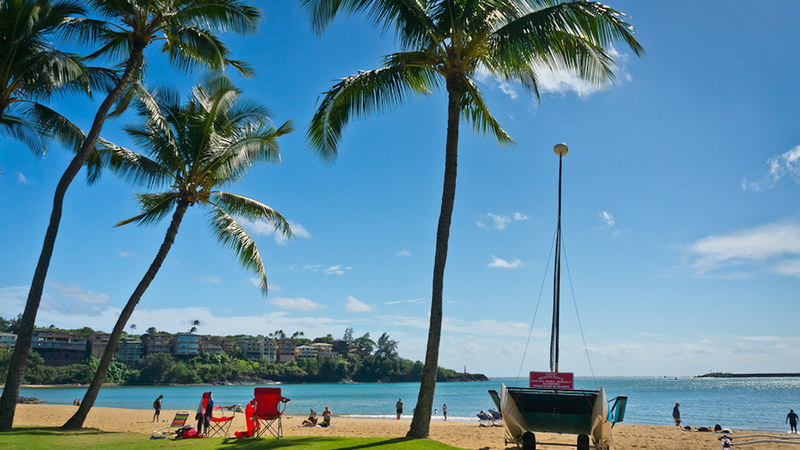 You’ll fall in love with the laid-back pace of the friendly little town of Kapaa. Check out the Ukelele Store, where rows and rows of this happy little classic Hawaiian instruments are for sale. Find you own favorite local spot where you can quench your thirst with refreshing fruit smoothies and juice or a famous Hawiian Shave Ice. Work off those calories with a relaxed bike ride or walk along the easy shoreline trail. The grassy slope of a sleeping volcano and the windswept ocean cliffs at this wildlife refuge are a favourite breeding ground for Hawaiian seabirds, so here you may be able to spot a Laysan Albatross or a Red Footed Booby. The restored lighthouse is the perfect subject for stunning ocean photographs. 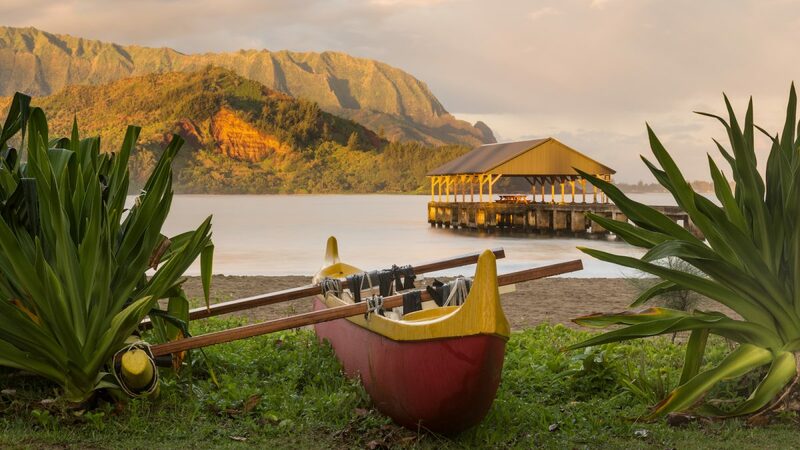 The town of Hanalei is one of the loveliest places on the north shore, ringed by green mountains and lined with soft, golden sand. 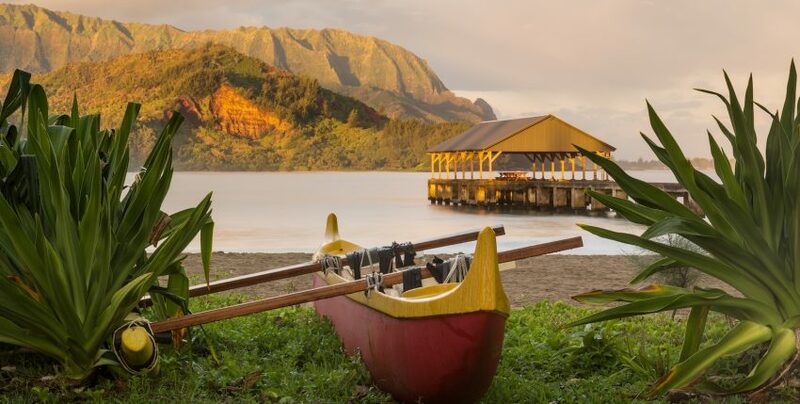 Hanalei Pier is also a superb spot to take a break and enjoy the view of the steep volcanic mountains. Hanalei’s beach has a gentle wave that can be enjoyed by everyone. 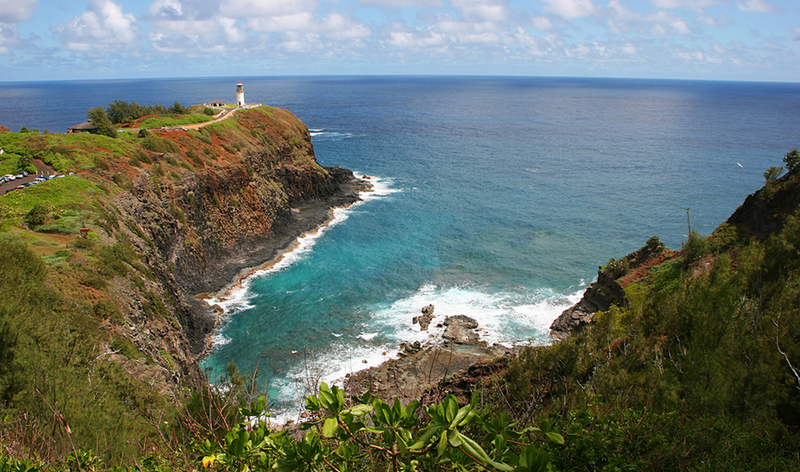 You will want to drive yourself as far as you can go to the end of the road at Ke’e Beach. As you approach the wet and dry caves will catch your eye. 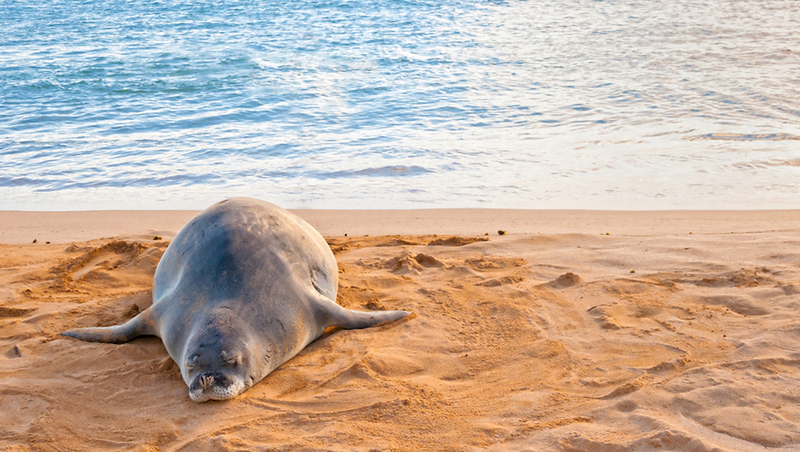 The beaches close by can be a lucky place to spot Monk Seals. For the hikers out there, this is the place to start a 2 mile hike to Hanakapi’ai Beach or go twice as far for the exceptional Hanakapi’ai Falls. 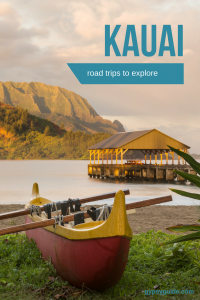 Need more guidance for your Kauai road trip? 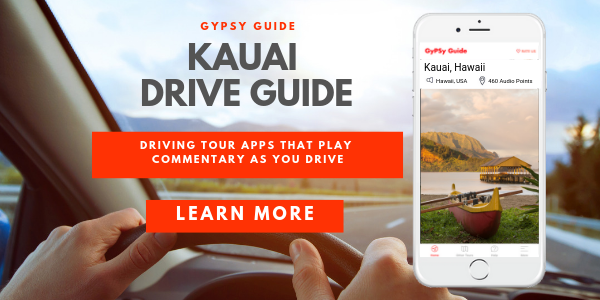 With the Kauai GyPSy Guide app, you’ll get entertaining commentary on the scenery and attractions you spot along the way – it’s just like having your own local tour guide in the car with you. Like this article? Pin it! 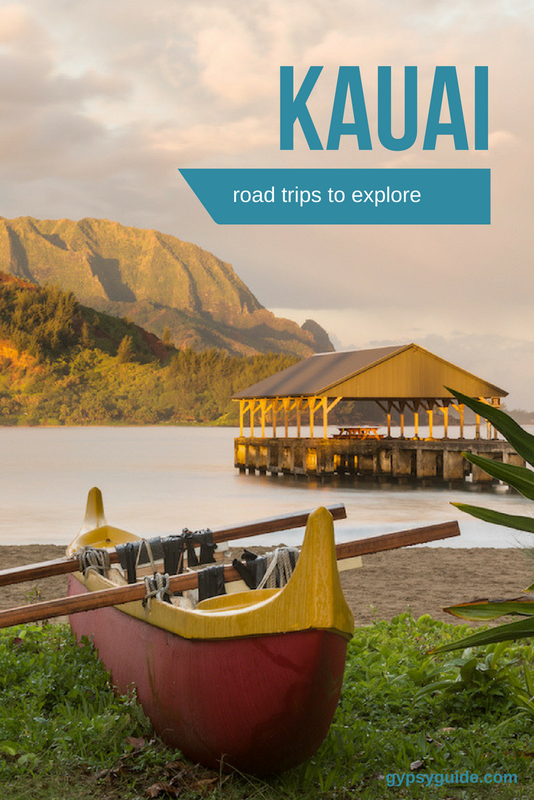 or share these must-follow tips for driving Kauai with other smart travellers.